Before opening Popcorn is Bliss, both Herouy and Jerri worked in the automotive industry for many years. Jerri fell in love with a gourmet popcorn store and found herself going there for every gift need she had. One day the owner of that store said these profound words to her, “I don’t know why you don’t just open a gourmet popcorn store yourself.” Those words resonated with her in a career changing way. She talked to Herouy about the idea and they decided this was what they would do. Describing their popcorn, Herouy said, “Everything is made in the store.” He explains that making specialty popcorn is a three to four step process and is quite time intensive. He laughingly said, “Ask the car wash guys (a car wash is located nearby), they know when we are making our popcorn. They can smell it.” They offer over 50 flavors of popcorn. Their most popular flavors are dill pickle, garlic parmesan, bacon cheddar, spicy buffalo, Oreo, white chocolate, puppy chow and birthday cake. They are rolling out a new flavor, Lemon Bar Bliss, for Mother’s Day. Lemon Bar Bliss is vanilla popcorn dipped in white chocolate with lemon flavoring, sprinkled with graham cracker crumbs. Herouy and Jerri have divided the business responsibilities. Herouy is responsible for the back half of the store in that he creates the recipes, pops the popcorn and mixes the ingredients. Jerri takes care of the front half of the store by ordering the novelty gift items, candy and gourmet sodas. They both determine the popcorn flavors, which involves a lot of tasting. Regarding the success of their business so far, Jerri said, “The community has given us so much love.” Herouy said they place high priority on making sure their reputation is impeccable. They have received great customer reviews and want to maintain that high standard. They have already begun giving back to the community in the form of donations to schools. Their five year goal is to open another store. Since opening Popcorn is Bliss, they have enjoyed the freedom it has given them to attend more of their children’s activities. They have two children, one attends Murphy Middle School and one attends Boggess Elementary. Popcorn is Bliss is open Monday – Saturday, 10:00 a.m. – 7:00 p.m. and closed on Sunday. Popcorn prices start at $1.25 for a mini (3 cup) bag. They always accept employment applications. 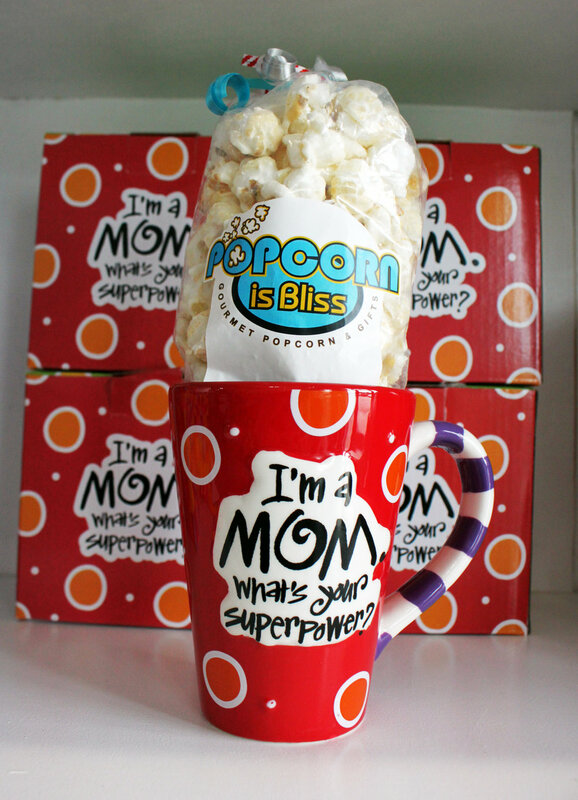 Please go to their website, popcornisbliss.com, to see their list of popcorn flavors, gift items, online ordering and much more.